First things first: What happened in the AFC West? The San Diego (not so Super) Chargers finished the 2010 season with a 9-7 record. The Chargers led the entire NFL in offense and defense, but missed the playoffs. San Diego finished 2nd in the division to the Kansas City Chiefs. If that wasn’t strange enough, the Oakland Raiders beat every team in the AFC West twice this season, but finished in third place with an 8-8 record. Today, they wrapped up Week 17 with a resounding road win at the new Arrowhead Stadium in Kansas City. 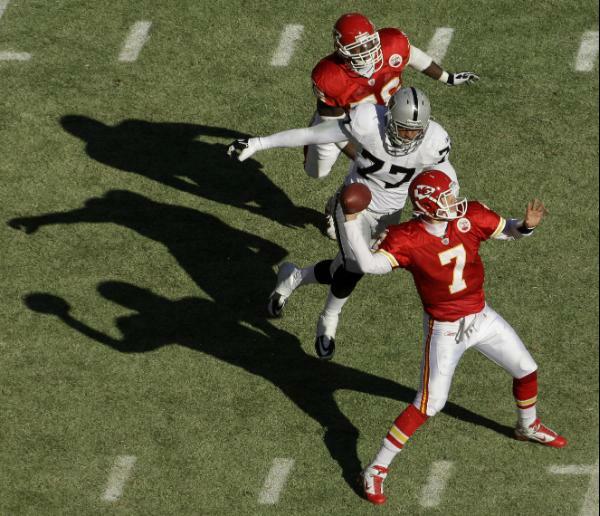 The Raiders won 31-10 and completed their sweep of the playoff bound Chiefs. Perhaps part of the problem has been Cable’s wavering on the Raiders’ starting quarterback. After starting the season with Jason Campbell at the helm, Cable switched to Bruce Gradkowski when Campbell struggled. After Gradkowski separated his shoulder, Cable turned back to Campbell but insisted Gradkowski was still the starter. While Campbell was under center during the Raiders’ three-game midseason win streak, Cable fluctuated between both quarterbacks throughout the second half of the year until Gradkowski reinjured his shoulder and was placed on injured reserve. A game of inches, obscene noises, and definitive silence. Um, and this one, too. No whistles. No biggie. It all evens out in the end. The season is winding down and the significant games for this week are in the books. Tonite, the San Francisco 49ers play the Arizona Cardinals. The game may well prove to be very entertaining (Remember last year’s tilt in San Francisco? ), but both of these outfits have proven unfit for the rigors of this season. Big winners this week: the New England Patriots who have found a way to get deep without deep speed; the San Diego Chargers who are serving notice that they are a team to be reckoned with — until the playoffs start; the Chicago Bears who provided a template for beating the high-flying Eagles; the Atlanta Falcons who showed that in the Dirty South, they have just enough to take all comers; and the “Survivors” — Pittsburgh and Baltimore — who were probably peeking around their Week 12 opponents, and thinking about health insurance for Week 13. 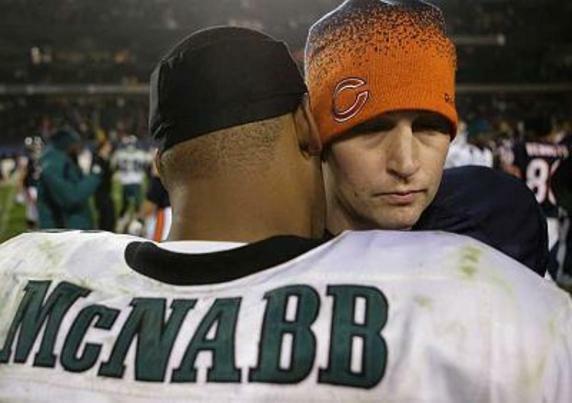 As great as Peyton Manning has been in his career, he cannot like living THE LIFE OF MCNABB right now. Without Joseph Addai, Dallas Clark, Austin Collie, and Ryan Lilja, Manning is experiencing life on the other side. He still has Reggie Wayne, Pierre Garcon and others, but this is his first taste in years of getting hammered — with no hope of relief. Manning, unlike McNabb is not able to make plays with his feet — and it shows. He’s giving up interceptions for touchdowns. 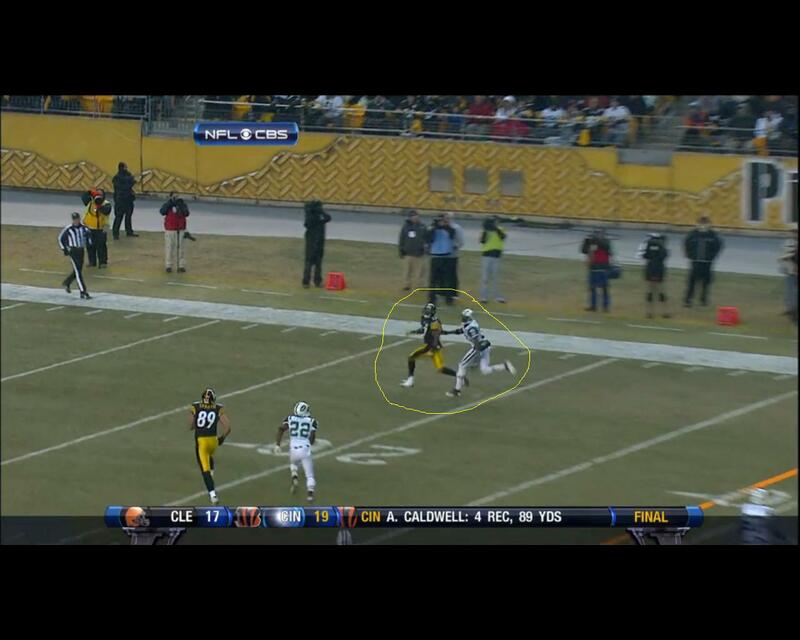 He isn’t choosing to throw the ball at the feet of his receivers to avoid turnovers. He’s taking big risks and losing. Fortunately for Manning and the Colts, they’ve lost 2 games in a row, but moved ahead of Jacksonville in the playoff hunt. In 5 of his last 7 games, Manning has averaged less than 6 yards per pass attempt. That’s awful. You cannot win in today’s NFL doing that. During that span, the Colts are 4-3, with one of those wins coming by 6 points over the Bengals who were “fueled” by Carson Palmer’s 3 INTs. Manning has thrown 10 picks over the frame — and had two games with no touchdown passes. The national media is articulate, understanding, and acutely accusatory in their analysis of Peyton Manning’s present condition. Commentators are able to identify injured players at skill positions and along the offensive line. Many have become Maddenesque with their ability to break down offensive line play (Exhibit A: former wide receiver Cris Collinsworth; Exhibit B: Yahoo.com’s Shut Down Corner column). THE LIFE OF MCNABB, however, is not about making excuses. It’s about making plays…even when playing with guys like James Thrash, Todd Pinkston, Hank Baskett, and Freddie Mitchell. It’s about figuring a way to move the ball on the ground even when your running backs all weigh 180 pounds soaking wet and the last tackle they broke was made by a toddler on the living room floor. The Colts may make the playoffs, but I suspect Peyton Manning may need what Jay Cutler needed last year if he is to right this ship, right now. What Can This Brown Do For You? Who is in your Top 10? Drew Brees is a no-brainer. What about Vince Young (26-13 as a starter)? Joe Flacco (21-13 as a starter)? Alex Smith? Mark Sanchez? Are you looking to the upside of a quarterback who has yet to make his mark, or are you sticking with the men who’ve done it before? Manning (2x) and Brady. What about the potentially retired? Are you expecting a Beltway Revival for choir boy turned QB, Jason Campbell? How much are you going to hold Peyton Manning’s Super Bowl loss against him? How much are you going to hold Eli Manning’s late season collapse against him? How ’bout them fumbles (Tony Romo)? Romo: "Sometimes, you've got to give the defense...give the defense what they want." Who do you rank in the top 10 — and who is number one on your look good chart? Games always boil down to more than one play. Pierre Garcon’s dropped pass on 3rd down near the 8 minute mark of the 2nd quarter was a big play. Earlier this week, I showed how the Saints defense stepped up to halt the march of the Colts in the 4th quarter after Reggie Wayne converted a 4th down. Those were not the only plays that mattered in Sunday’s game. This clip shows how the Colts hurt themselves before the snap of the ball. The defense had just stopped the Saints at the goal line on 4th down. Indianapolis had secured the ball deep in their own territory. 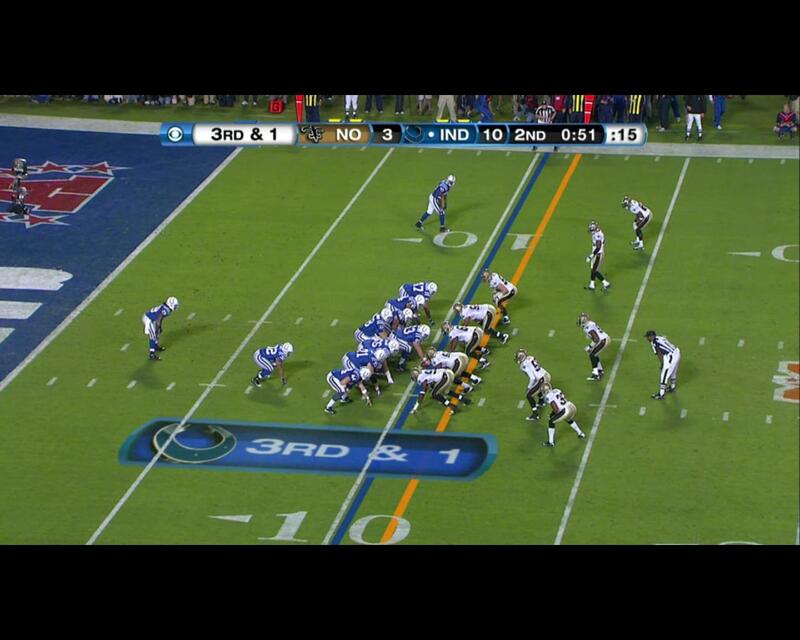 The play that the Colts would run (pictured below) on 3rd down was the same play they ran for a few yards on first down. In between these mirror plays, Joseph Addai ripped off a 7 yard run to get the Colts close to the Promised Land (halftime with a 10-3 lead). With one minute remaining, the Colts had the ball and faced a 3rd and short. 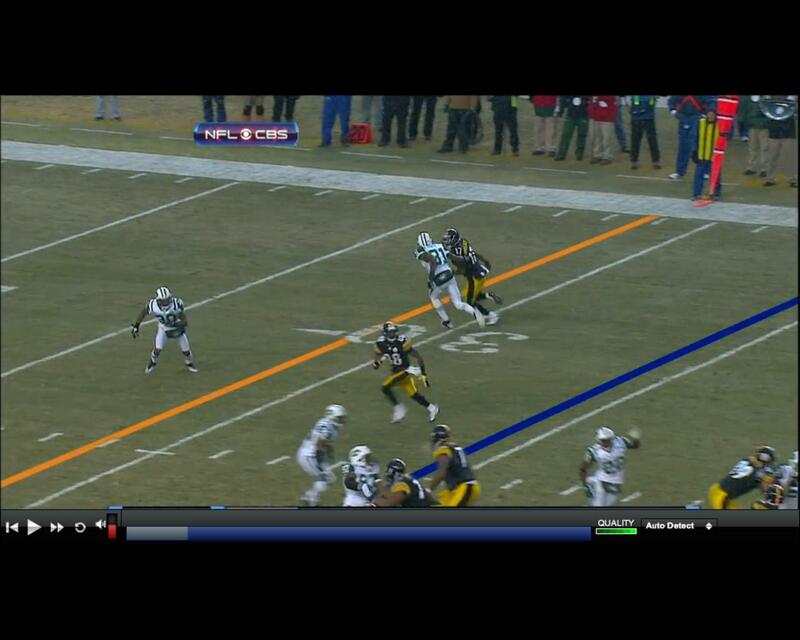 The ball was on the 10-yard line. If the Colts were going to be aggressive, they should have run a play as quickly as possible and tried to get into scoring position. Indianapolis did not do that. They didn’t rush to the line. They didn’t call a pass play on this sequence to preserve the clock for their own drive. If the Colts were not going to attempt to score, the best decision would have been to do on 3rd down what they did on 2nd down: run the clock down. Manning snaps the ball with :14 seconds remaining on the play clock. It was this decision, as much as any other, that allowed the Saints the time to mount a scoring drive of their own and close the halftime gap to 10-6. Michael Hart was tackled by Sedrick Ellis; the Saints called timeout; and Brees hit Devery Henderson deep down the seam to put the Saints in field goal range. Peyton Manning gave the keys to Brees and he scored. The 2009 NFL season has come to a close. The New Orleans Saints, chronicled here often throughout the season, won Super Bowl XLIV in convincing fashion over the favored Indianapolis Colts. For a team that began the season with 13 consecutive wins, the Saints were able to march through the playoffs under the radar because the national press fell out of love with this team following home defeats to the Dallas Cowboys and Tampa Bay Buccaneers. The Colts, conversely, faced increased scrutiny in the postseason because they chose a fate the Saints tried to avoid. First year head coach and longtime quarterbacks coach of the Colts, Jim Caldwell, pulled his starters in Week 16 (vs. the New York Jets) and Week 17 (at the Buffalo Bills) in a bid to maintain health and build resolve for the playoffs. "Back to the track...To the Wall...We are Tied." The New Orleans Saints outplayed the Indianapolis Colts. Drew Brees outplayed Peyton Manning. Gregg Williams’ guys outplayed Larry Coyer’s’ guys. The Colts led 10-0, but were outscored 31-7 for the rest of the game. On this historic night, Jim Nance twice mentioned the 1987 Washington Redskins, but was so overcome by the disease that he could not mention the name of the architect of that win – Doug Williams. Williams overcame a 10 point deficit against a “Golden Boy” (John Elway) and had one of the greatest Super Bowl performances of all time. The Saints deserve a lot of credit for building the type of team that is more balanced than the experts think…more experienced, and just a bit tougher. For all the pomp and circumstance surrounding largely one-dimensional offenses run by Tom Brady and Peyton Manning, both the Patriots and Colts were only able to muster 17 points. That defense played better than I thought they could, but they gave us a glimpse of what was possible earlier this season. On offense, the Saints simply did what they do. The Saints were clearly the best team tonite. END NOTE: It is ironic that in the past two seasons, where the Super Bowl featured three of the most prolific offensive teams in recent memory, the games have been decided (in large part) by interceptions returned for touchdowns. That the passers were Kurt Warner and Peyton Manning makes this fact all the more intriguing. 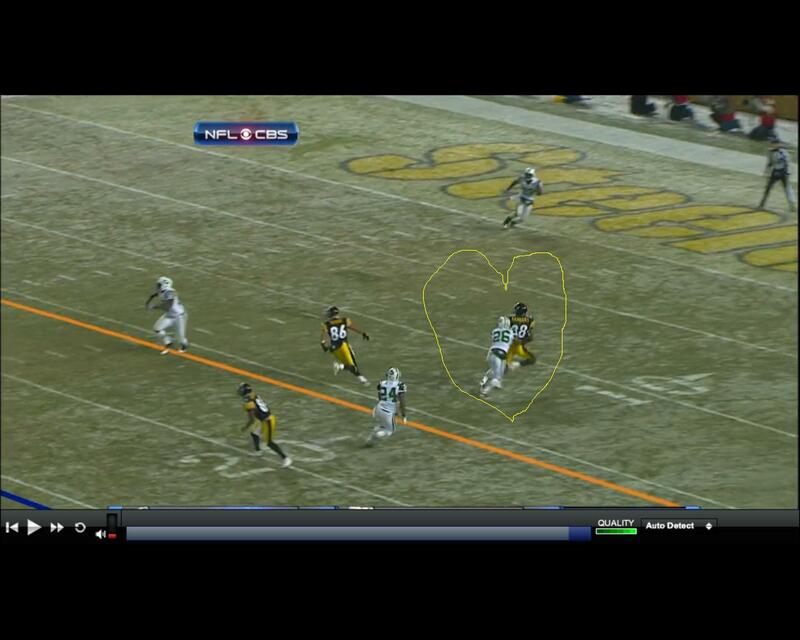 Both were intercepted trying to make quick throws to the left side against a blitz. Both quarterbacks were targeting a favorite receiver on a route to the inside that was successfully read and jumped by the defense. We’ve already looked at what the Saints need to do. 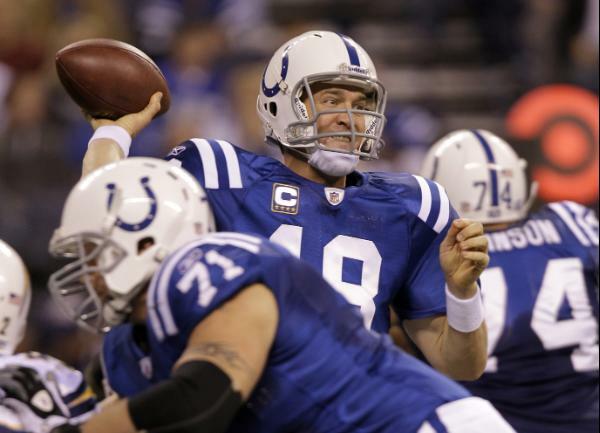 Now, lets look at the favored Indianapolis Colts. The Colts greatest strength is that they possess most stable offense in the NFL. Offensive coordinator Tom Moore (a former wide receivers coach with the Pittsburgh Steelers) has been in Indianapolis for more than a decade. When you look around the league, most offensive coordinators have been hired within the last year or two. A handful have been around since 2006. Aside from the Colts, only the Bengals have kept their coordinator around for more than a “New York minute.” It is precisely this aspect of stability and familiarity that allow the Colts to consistently make great in-game and in-drive adjustments to defenses. The success of this team is predicated, largely (though not entirely), on the capacity of the offense to simply take what is given and squeeze more out of those concessions than most defenses ever think possible. The definitive expression of that tool this season was the Week 2 win at Miami. The Dolphins power run game cranked out over 200 yards and Miami dominated the clock. The Colts had the ball for little more than a quarter, but managed to put together quick scoring drives that produced touchdowns and a victory. 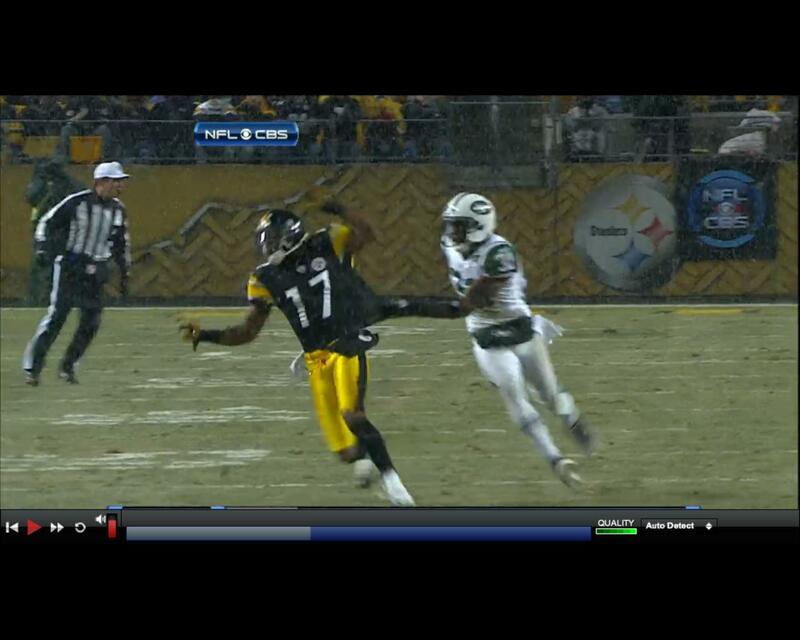 Contrast that win with the AFC Championship Game victory over the top-ranked defense of the Jets. The Colts overcame a 17-6 deficit, out rushed the Jets, and still threw for well over 300 yards. The Colts make defenses give ’til it hurts. 1) Remember! 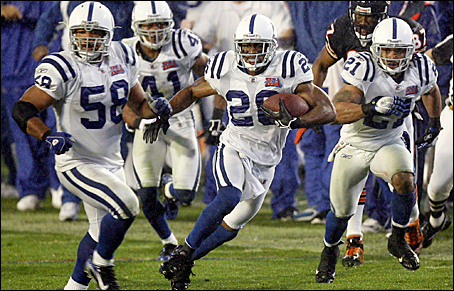 The Colts played in this game in 2006. They used an unconventional approach to win that game. They used the surprising and powerful tandem of Dominic Rhodes (113 yards) and Joseph Addai (77 yards and 10 catches) to defeat the Chicago Bears. Peyton Manning was not the star of that game. The Colts were also the beneficiaries of five turnovers and many other errors committed by a quarterback clearly overwhelmed by the moment. That game is not likely to be repeated by a player like Drew Brees. The last MVP to get outfoxed in a Super Bowl was going up against the coach who wrote his playbook. 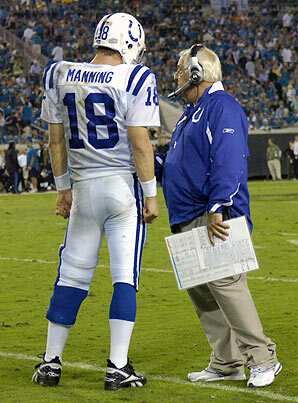 The Colts have to be ready for THIS game — but remember all the little non-football things that worked so well in 2006. The 15-3 New Orleans Saints head into Super Bowl XLIV against the 16-2 Indianapolis Colts as four point underdogs. No need to add to the hype. Let’s cut to the chase. Get consistent hits on Peyton Manning. 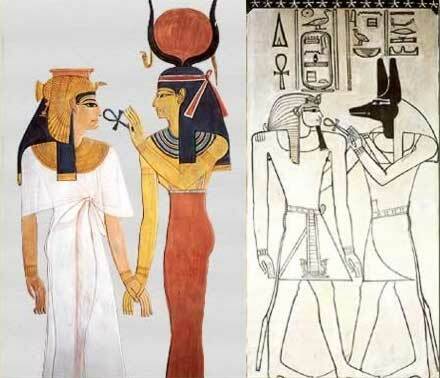 The Saints already know this and have admitted as much. Gregg Williams, the defensive coordinator, like to bring pressure. The Saints knocked around Kurt Warner and Brett Favre as much as I can recall in years. Warner hasn’t been hit like that since he played for the Giants. The Saints have an “ace in the hole.” Unlike most teams, the Saints have NO FEAR of getting outscored by the Colts in a shootout. This means that even if Manning burns the blitz, the Saints will not feel the added burden of trying to slow down the game for their offense. New Orleans’ capacity to SCORE will impact their willingness to blitz throughout the game. Three teams in the AFC have used this same approach with some success against the Colts: the New England Patriots, San Diego Chargers and Pittsburgh Steelers. When teams don’t feel that they can keep up on the scoreboard, they get conservative defensively. New Orleans showed none of that in their all out attack on the Cardinals and Vikings quarterbacks. The 2009 NFL regular season comes to a close next Sunday. It’s time to dole out the hardware. This year’s awardees will receive the coveted Cyber Ankh Award for injecting the spirit of Ma’at into their work. The list of competitors is long — and I’ll attempt not to leave out too many men who have had great years. At the end, I have a few additional awards for folks who’ve demonstrated some unique skills worthy of mention.